Utelogy Corporation has strategic partnerships with several industry leaders to deliver the best experience with your Utelogy platform. Changing the Way we Work, Play, Live and Learn. 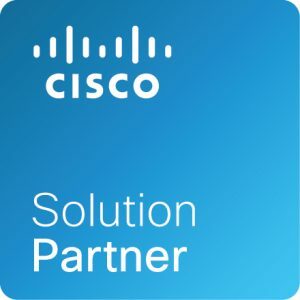 Cisco is the worldwide leader in IT that helps companies seize the opportunities of tomorrow by proving that amazing things can happen when you connect the previously unconnected. A global leader in networking technologies, Cisco is heading a digital transformation with the Internet of Everything. Providing a family of network adapters that IP enable any piece of equipment. Utilizing Matrox Maevex™ H.264 encoders and decoders, distribution of video and audio over standard IP is now easily done, all with the quality of signal you want, without the high expense of network bandwidth. You can add, move and reconfigure your AV systems by simply adding Matrox Maevex™ encoders and decoders with a quick configuration in the Utelogy platform to assign devices to the desired room or location. Mimo Monitors is a global expert and industry leader in small touchscreen monitors, displays, and tablets. Designed with a solutions-first approach, we believe in creating small footprint and high value displays that drive innovation and provide a seamless experience. ​Learn more about becoming a Utelogy Strategic Alliance.